Furnace gas is a gas which is produced in different types of furnace during the production of metals. High levels of power requirement and rising energy costs present a major challenge to the metallurgical industry. Some furnace gases created as a ‘free’ by-product during production processes serve as an attractive fuel for power generation. In addition to the economic benefit, using these gases reduces industrial CO2 emissions and reduces dependence on fossil fuel resources. Metallurgical production processes typically produce large volumes of special gases. For example the three different process stages in steel production provide a number of different gas types: coke gas, blast furnace gas, converter gas and furnace gas. Coke gas is a by-product of industrial coke production from coal created by high-temperature pyrolytic distillation of coking coal. The gas mainly consists of hydrogen (50-60%), methane (15-50%), a small percentage of carbon monoxide, carbon and nitrogen. With a calorific value of 5 kWh/Nm3, coke gas constitutes a high-value fuel for effective power generation with Jenbacher gas engines. Blast furnace gas is a by-product of blast furnace operations where iron ore is reduced with coke into metallic (pig) iron. The gas has a very low heating value of around 0.9 kWh/Nm3, which on its own is not high enough to fuel a gas engine. 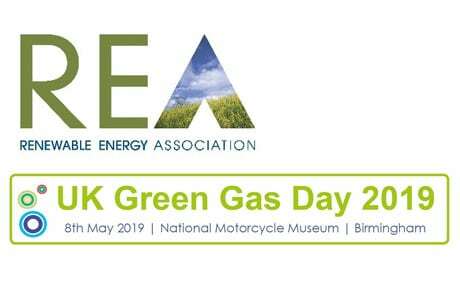 However, where the possibility exists to blend this gas with other combustible off gases it may be feasible to operate with the blended gas and contact should be made with the local Clarke Energy office to discuss this in more depth. Converter gas is created from pig iron during the steel production process. Steel-making technology can be categorised into two different processes: blow moulding or open hearth. Within the blow moulding process, the pig iron is refined with oxygen or air, lowering the carbon proportion and providing enough process heat to maintain the steel liquid. With 60% of the worldwide raw steel production, the Linz-Donawitz (LD) process, classified as a blow moulding process, is the most common production method to produce raw steel. On the other hand, the open hearth process extracts the oxygen from added scrap and ore, requiring an additional heat supply to produce steel. One of the more common open hearth processes is the electrical arc furnace. Converter gas from the LD and electrical melting processes can be used in Jenbacher gas engines. The gas consists of about 65% carbon monoxide, 15% carbon dioxide, 15% nitrogen and small amounts of hydrogen and methane. Ferro-Alloys include FeCr, FeMn, FeSi, SiMn, Si-Metal, TiO₂ and less commonly FeTi, FeNb, FeV, FeNi as well as calcium carbide used to produce acetylene. The furnaces whether closed or open all produce combustible gases of varying compositions and calorific values. The combustion behaviour of these gases places considerable demands on engine design. 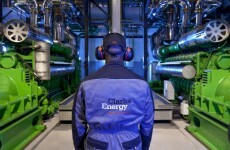 Clarke Energy offers specially modified Jenbacher gas engines that efficiently burn these gases for the combined generation of heat and electricity. The high hydrogen content of some of these gases results in a fast combustion process which increases the danger of engine knocking or backfiring. To reduce this risk, Jenbacher has created an engine control system that is able to fuel the engine with a very lean mixture whilst being able to react relatively quickly to variations in the engine load. Some of the components of these gases, e.g. carbon monoxide have a slow combustion speed and the gas itself is toxic. Jenbacher has developed specific gas engine combustion systems that allow the burning of these gases efficiently and reliably whilst offering a safety technology package that allows safe handling of harmful gases such as carbon monoxide. Both gases can both be used to create hot water, steam and electricity. The steam can be used within the metallurgical processes. 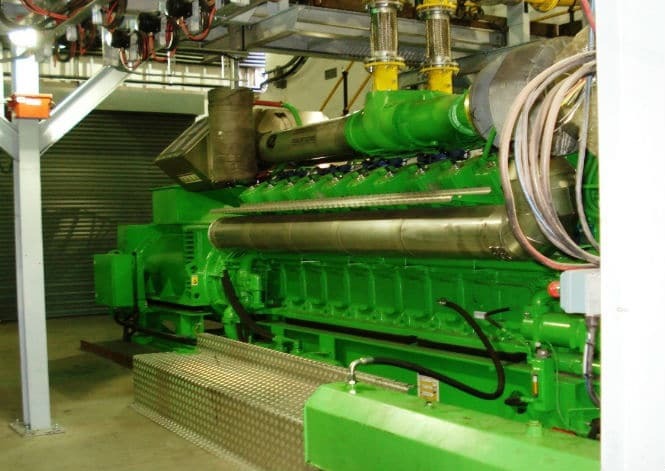 Electricity generated by Jenbacher engines can either be used on-site or sold to the public grid. 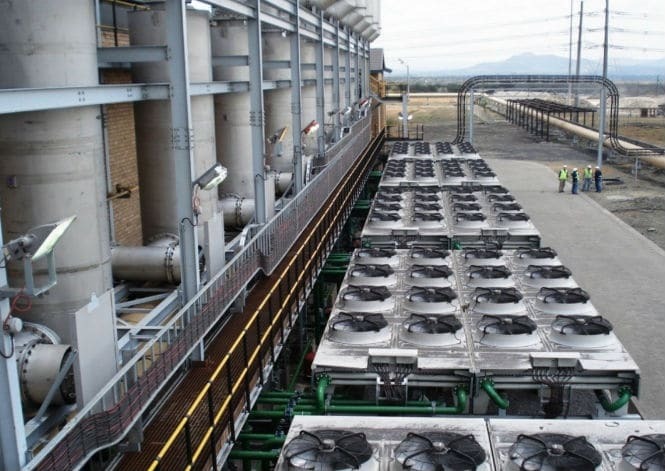 In the case of coke gas each tonne of coke that is produced releases some 470 Nm3 of coke gas are produced of which 60% is typically used for internal processes and the remaining gas can be used for power generation with Jenbacher gas engines resulting in approximately 400 kWh/te. Through the LD process approximately 50 Nm3 of converter gas are released which can burn in Jenbacher gas engines to provide some 50kWh electrical power. This type of engine burns lean gas with combustible components being largely CO and H2. The engine utility essentially depends on the purity of the biomass gas resulting from the gasification process and subsequent cleaning. The management of tar and particulates in the gas fed into the engine is of critical importance. Substantial research has been completed on this application and Jenbacher installed its first commercial gas engine applications for coke gas in 1995 and for LD converter gas in 2004. 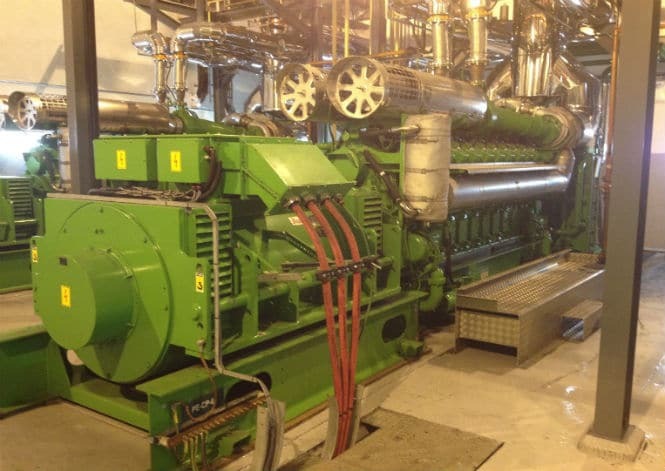 About 30 Jenbacher gas engines now run on either coke gas, LD converter gas or other furnace gases. Underscoring Jenbacher's technical expertise, these units recently reached a combined total of more than 1 million operating hours. When compared to using natural gas for power generation, the Jenbacher technology-equipped sites have achieved CO2 savings of some 2 million tonnes since commissioning.